This ultralight visor, designed in limited edition for the IRONMAN® 2018 World Championships protects entirely from direct sunlight. 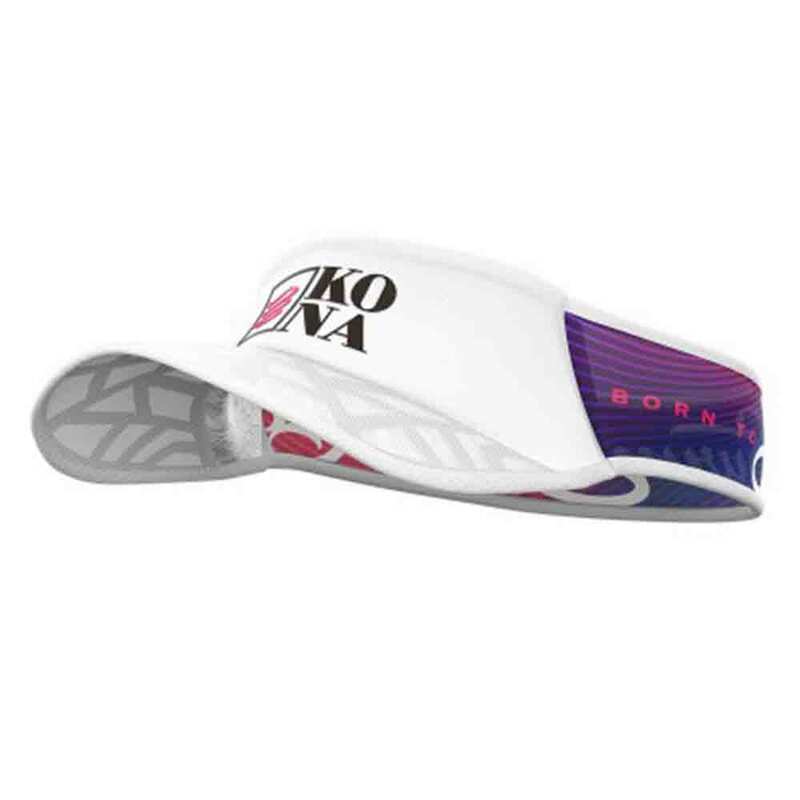 Under Kona`s scorching sun, it will prove the must-have accessory. Its transparent, hydrophobic mesh does not retain heat or sweat and protects the eyes from ardent sunrays A light mesh band at the back gives optimal protection without burdening your forehead. - Ultralight, it does not press on the forehead. - It does not retain sweat and water. - Its visor is composed of an ultralight mesh and a visible structure, allowing to keep a maximum of perspective while protecting from the sunrays.